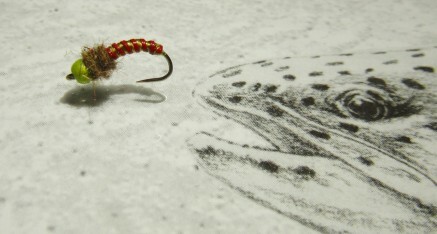 NCFF is a club that encourages members to tie and fish their own flies for maximum enjoyment of our fly fishing sport. NCFF Members share “How-To” tying information at club meetings via fly tying demos, and at NCFF sanctioned events. Our Fly Pattern Index showcases some of our favorite flies. These flies have proven to be effective throughout the Central Nevada region. Please contact NCFF to submit your favorite pattern for the NCFF Fly Pattern Index: We welcome your comments and your suggestions on the patterns we fish.